Marvel Comics has provided ComicBook.com with an exclusive preview of Stephen King’s The Dark Tower: The Drawing of the Three – The Prisoner #3. Writers Peter David (All-New X-Factor) and Robin Furth (The Dark Tower: The Complete Concordance) and artist Piotr Kowalski (Marvel Knights: Hulk) continue their adaptation of Stephen King’s bestselling epic. The issue continues to follow Eddie Dean, the boy who can open doors to other worlds, as he explores what lurks in the Dutch Hill Mansion. 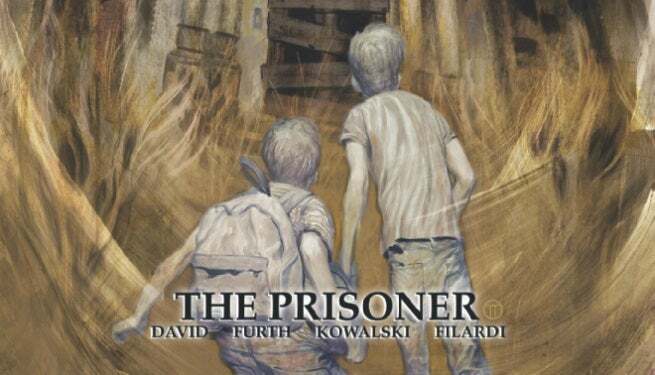 Stephen King’s The Dark Tower: The Drawing of the Three – The Prisoner #3 goes on sale October 1. STEPHEN KING'S DARK FANTASY EPIC RETURNS-TO THE MEAN STREETS OF NEW YORK CITY! • Eddie Dean, the troubled young man gifted with the ability to open doors to other worlds, has survived to his 10th birthday. But will he live to see another? • What horrors lurk within the Dutch Hill Mansion? • A bold new chapter continues by writers Peter David (All-New X-Factor) and Robin Furth (The Dark Tower: A Complete Concordance), and artist Piotr Kowalski (Marvel Knights: Hulk)!